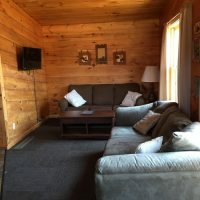 Our housekeeping cabins are beautifully finished in knotty pine paneling. 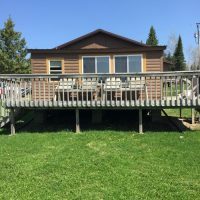 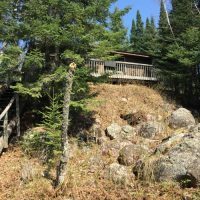 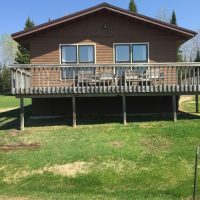 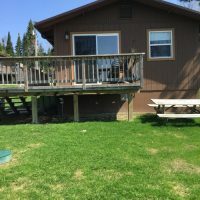 Each features a large deck or enclosed porch facing the lake. 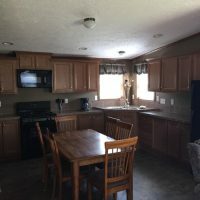 They have fully equipped kitchens with a refrigerator, gas range, dishes & cooking utensils. 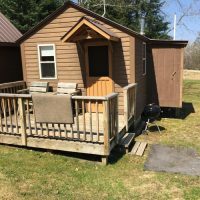 Each has a 3/4 or full bath and comfortable beds. 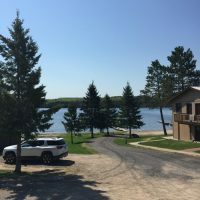 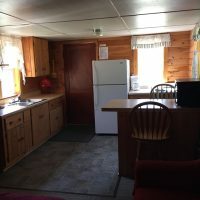 The cabins are very clean, heated and completely furnished, excluding towels.